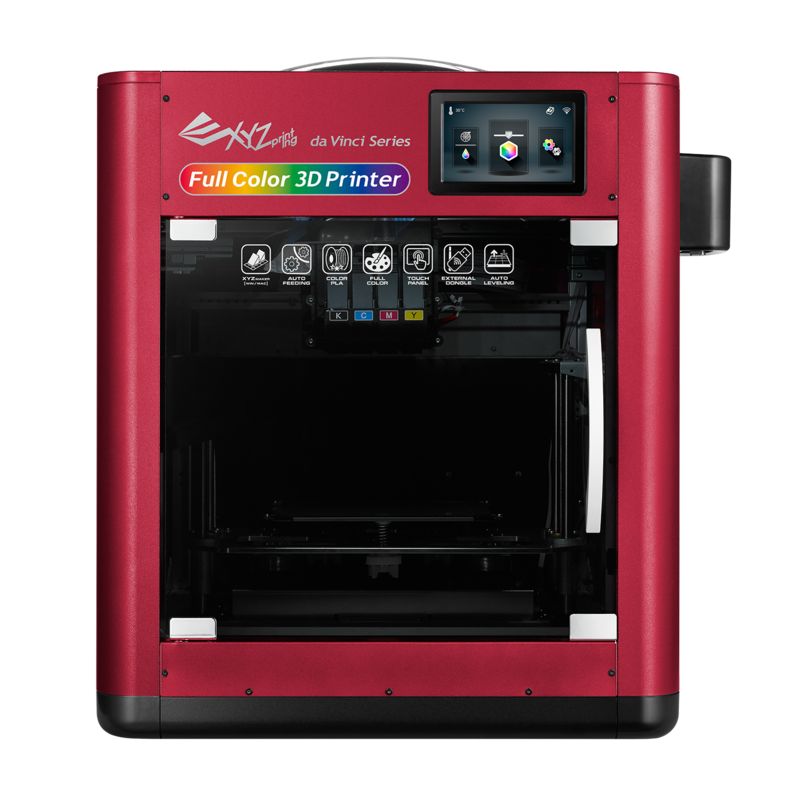 The da Vinci Color offers you full color 3D printing. Therefore, it uses special PLA filament and inkjet technology. 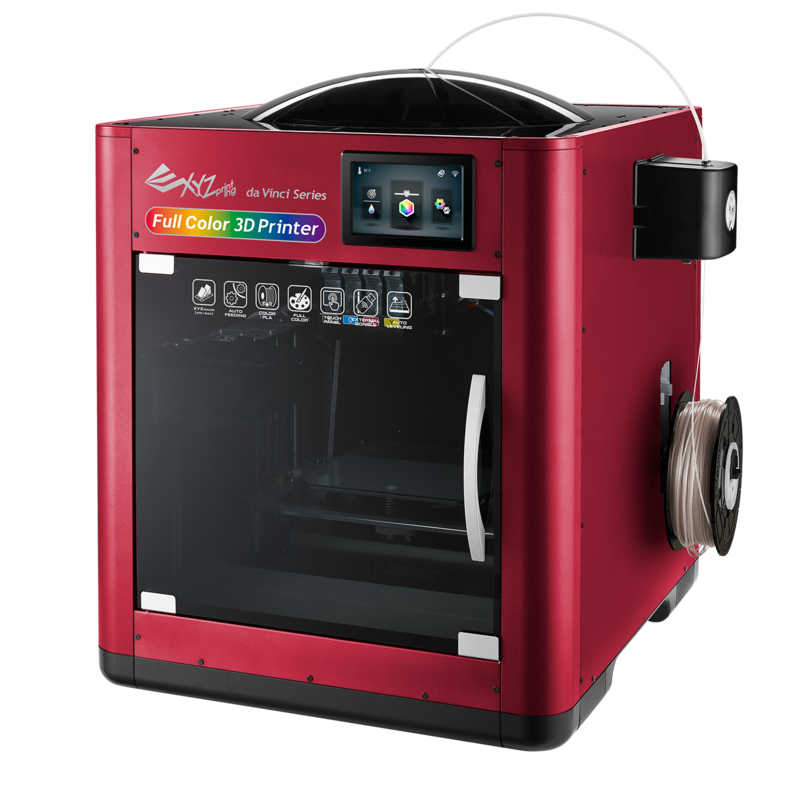 This easy to use FFF 3D printer enables you to realize bright colors. Furthermore, you can use third-party filaments with this amazing 3D printer. 3D print in full color! 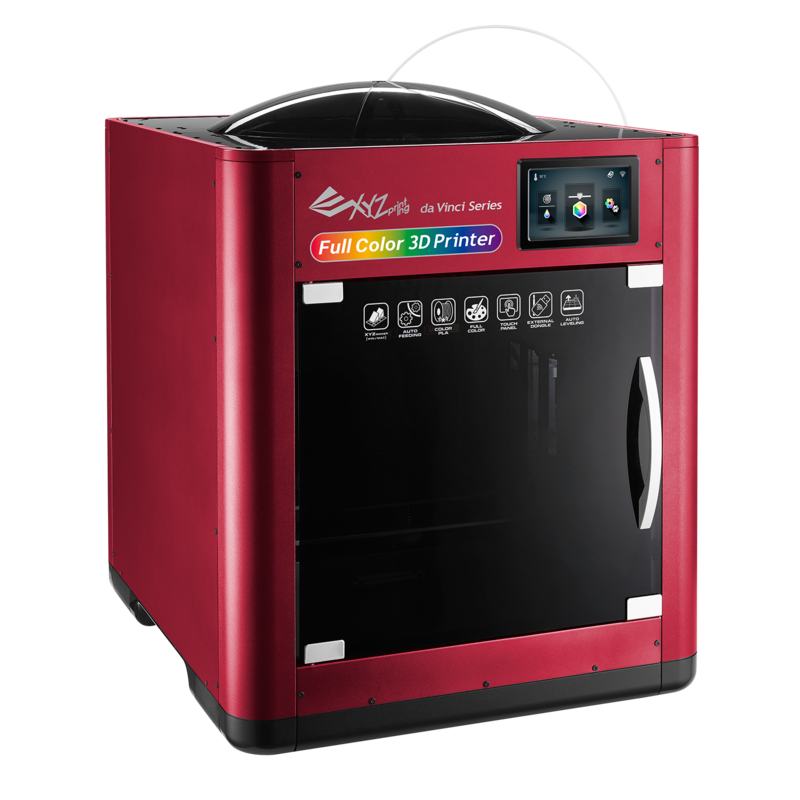 The da Vinci Color by XYZprinting is the first FFF full color 3D printer for your desktop with true color technology. This is made possible by the combination of inkjet and 3D printing technology. For its color 3D printing technology, XYZprinting has filed more than 40 patents worldwide. Using CMYK inkjet technology, ink droplets adhere to the color-absorbing PLA filament. The different colored ink droplets are used to color an absorbent PLA. This allows you to create amazing colored 3D prints with da Vinci Color. 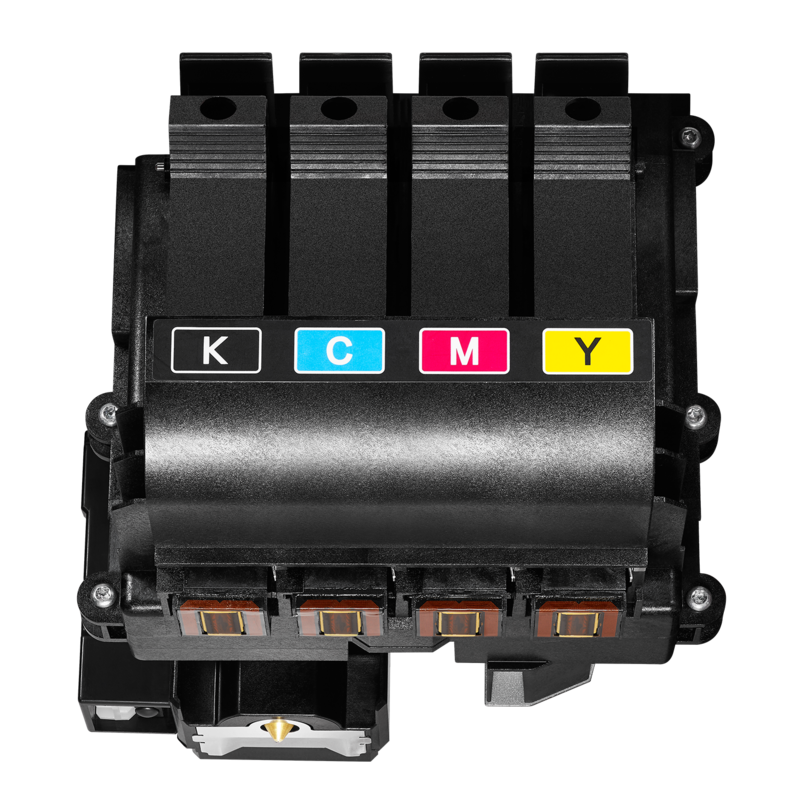 XYZPrinting has put a lot of emphasis on trouble-free operation for you while developping the Da Vinci Color. 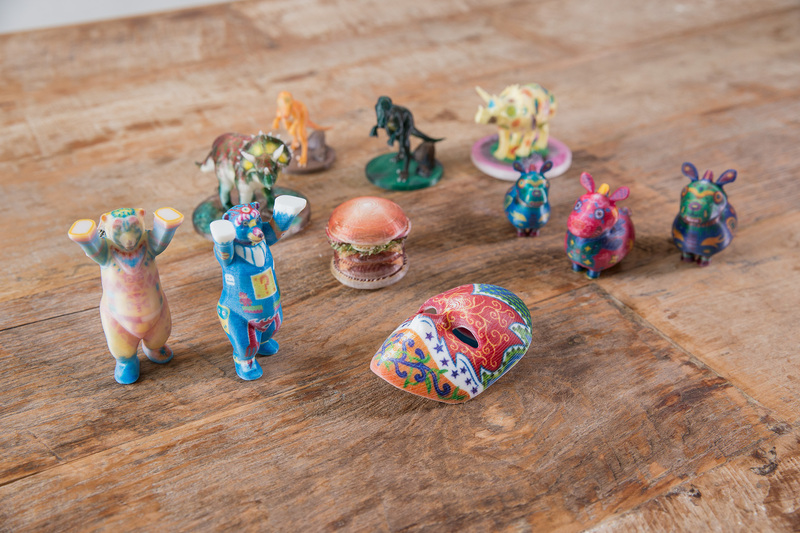 3D prints in color at a great price, because creativity and user-friendliness are in the foreground. 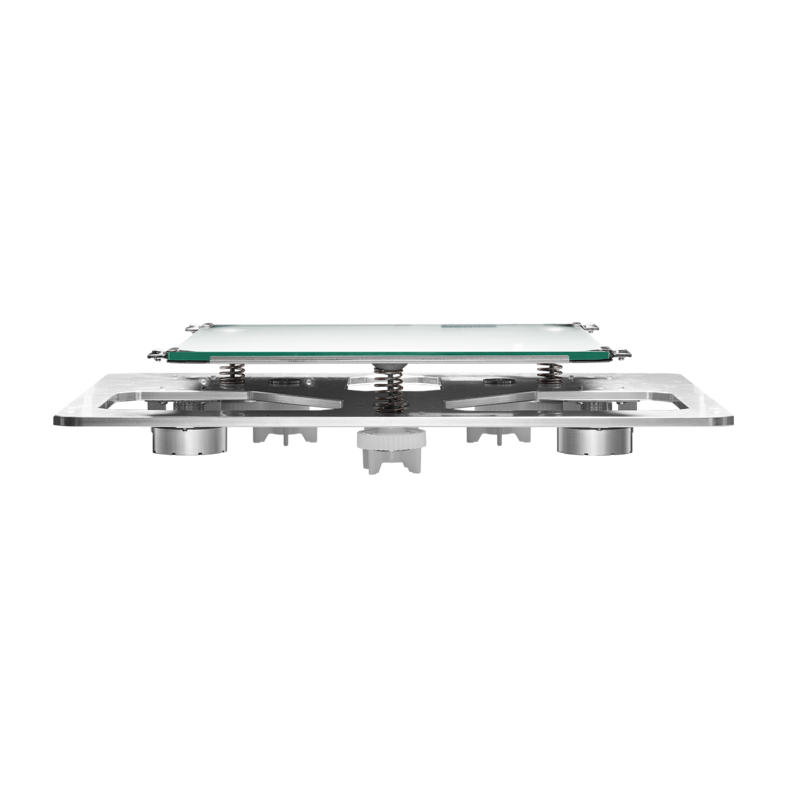 The unique 3D technology ensures unique components. Your 3D prints with da Vinci Color by XYZprinting will shine in color and enchant you. In addition to color 3D printing, this device also allows you to produce monochrome 3D prints with a very high quality and high production speed. 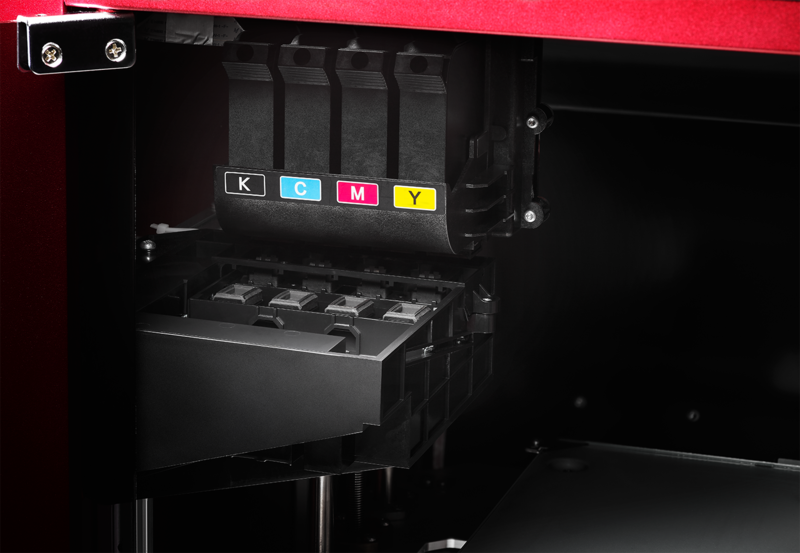 Control your 3D prints easily and reliably with the da Vinci Color from XYZPrinting. This is done by means of a user-friendly color touchscreen. With this you can use innovative functions. For example, you can set up automatic platform correction and wireless connection to your network. 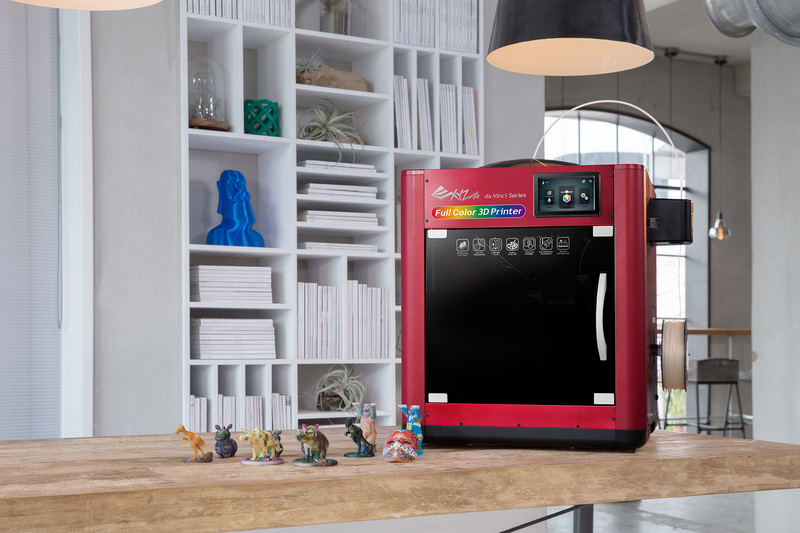 The XYZPrinting da Vinci Color has numerous sensors. For example, it detects whether filament is inserted undamaged. If the color filament is missing or damaged, it stops 3D printing. Continue manufacturing later. Buy the XYZprinting da Vinci Color to realize low-cost full color FFF 3D prints using inkjet technology.